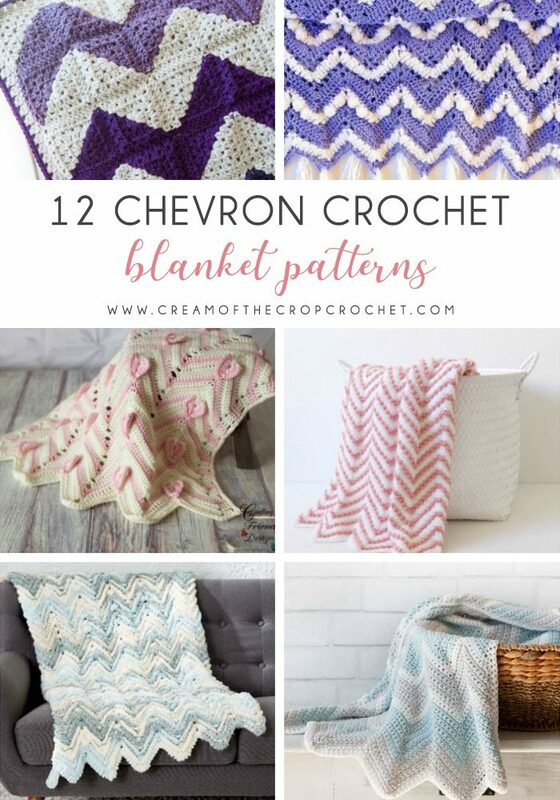 If you love chevron, you’re going to have so much fun with this list. 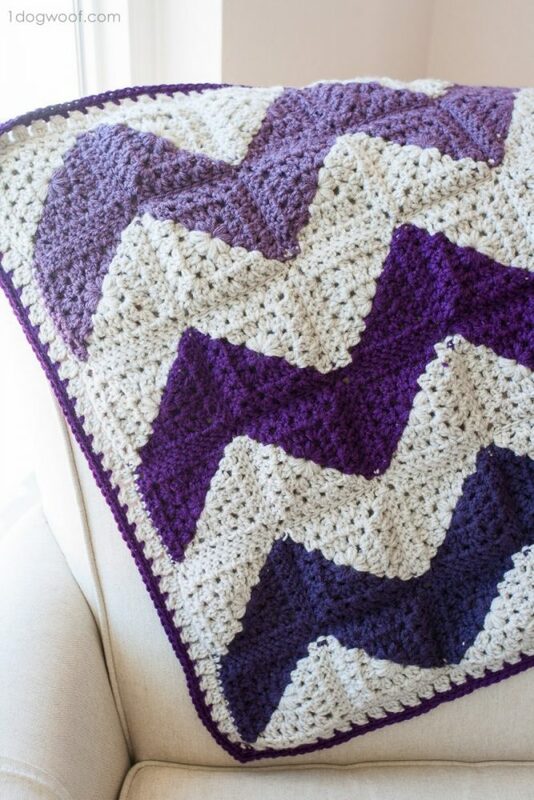 Make a crochet blanket with a chevron design with these free crochet afghan patterns. Learning how to crochet a blanket has never been more fun than with this exciting, modern design. 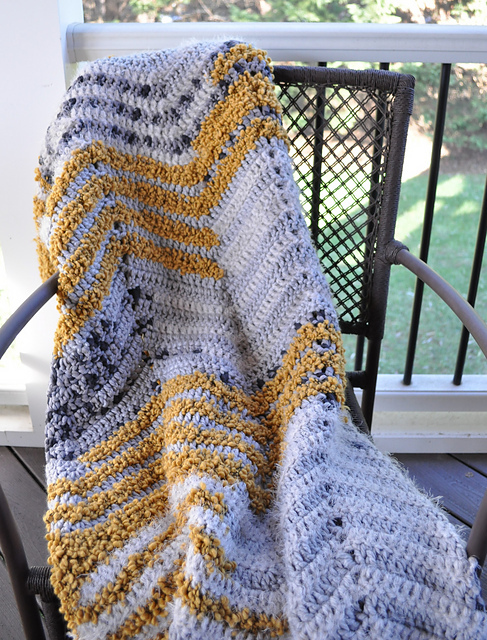 Grab some chunky yarn and choose your favorite crochet blanket pattern off this list. Add a trendy accessory to any room in your house. Chevron is a pattern everyone loves. This is the perfect afghan blanket to throw over a bedspread to add warmth to your room. You can also use it for a picnic, an accent for your sofa, or something to snuggle up under while reading a good book. You’ll have it crocheted in no time. This quick easy crochet blanket can work up quickly and can keep your lap warm when working at a desk or sitting in your favorite chair. It is also a wonderful pattern to work for someone who is in a wheelchair and doesn’t need the full crochet blanket sizes. 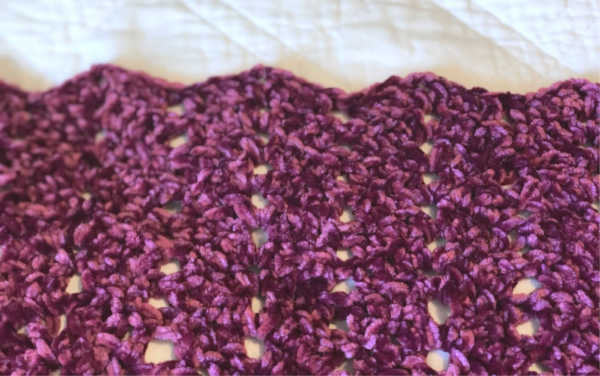 You’ll love how easy this simple crochet blanket is to work up. It is made with a simple stitch repeat consisting of only single crochet! If you can do single crochet, then you are good to go for this project! Smaller yarn makes these little berry stitch bobbles so dainty and the texture of the Bernat Baby Softee is just so soft and cuddly! 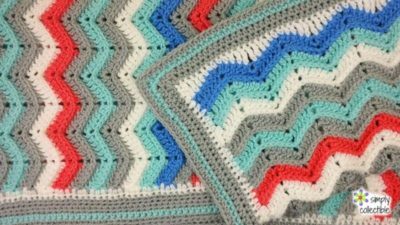 Before you get started on this hand crochet blanket you’ll want to make sure you understand the counting pattern for a chevron blanket and how to work the berry stitch. Once you know those two things, it’s not too complicated to put them together! 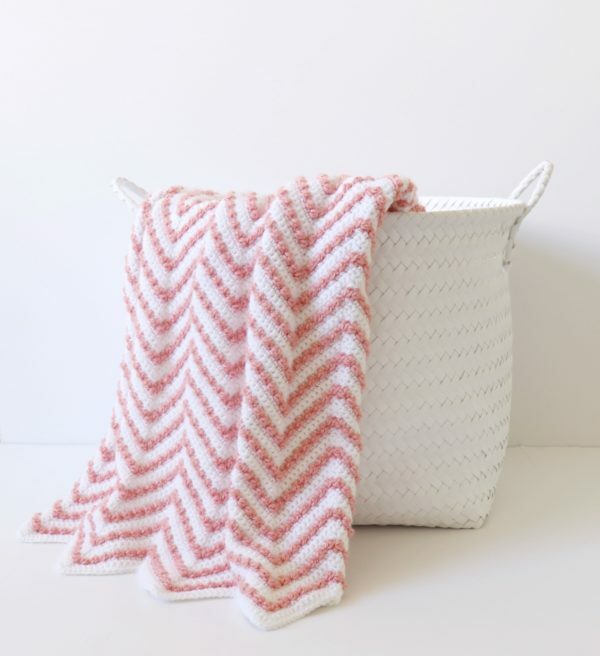 This easy crochet baby blanket features the little critters in a sweet chevron design and it would look great with any number of colors or even in one solid color to show off the texture. 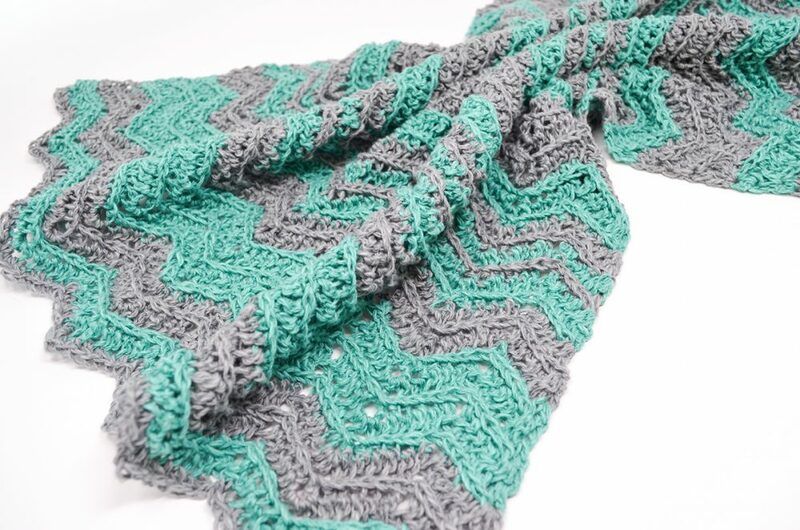 It’s one of the sweetest crochet blanket patterns on this list. 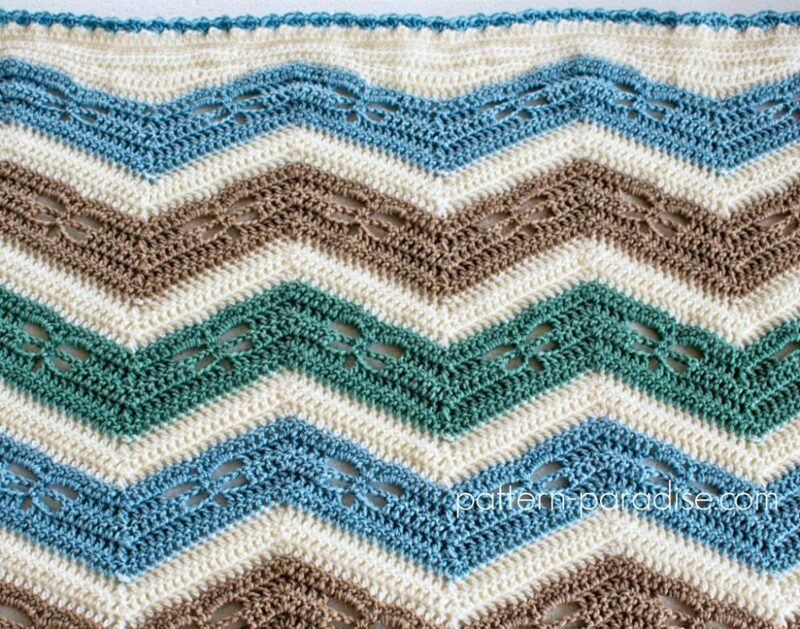 This is an easy crochet baby blanket project made with 36 two-toned granny squares that were lined up to create a chevron design. Unlike other granny squares, these are worked in a combination of rows and rounds, so there’s really no ‘right’ or ‘wrong’ side to each square. That makes this one of the quick and easy crochet blanket patterns on this list. There’s just something about how cheerful and unique looking this pattern is that will make your yarn-lovin’ heart happy. If you’re not familiar with working corner-to-corner (C2C) now it’s your time to learn! Look at it as C2C crochet for beginners. You will want to make this time and time again. 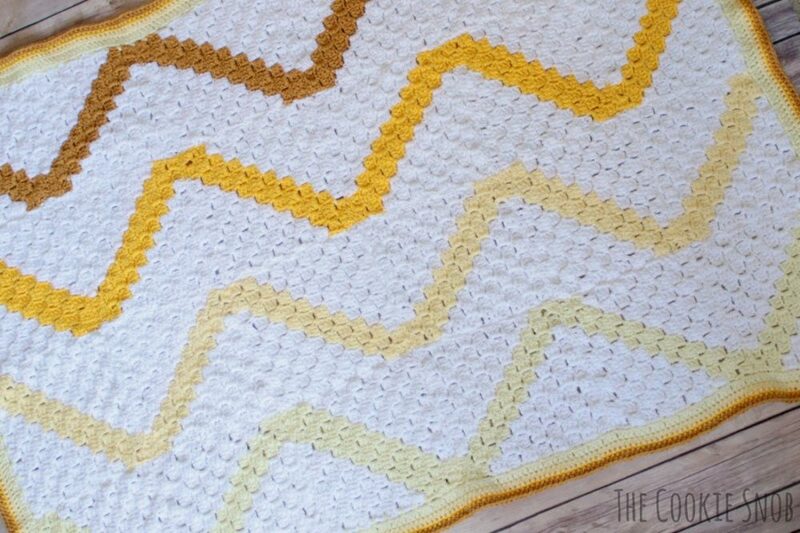 Not only is the chevron visually appealing, but it has a crochet blanket border. The border is made out of double crochet. With this texture, a neutral, solid color throw would be divine. It’s a classic Chevron crochet stitch. It is very decorative and effective. The blanket is soft and cozy. You can do it in any crochet blanket sizes. 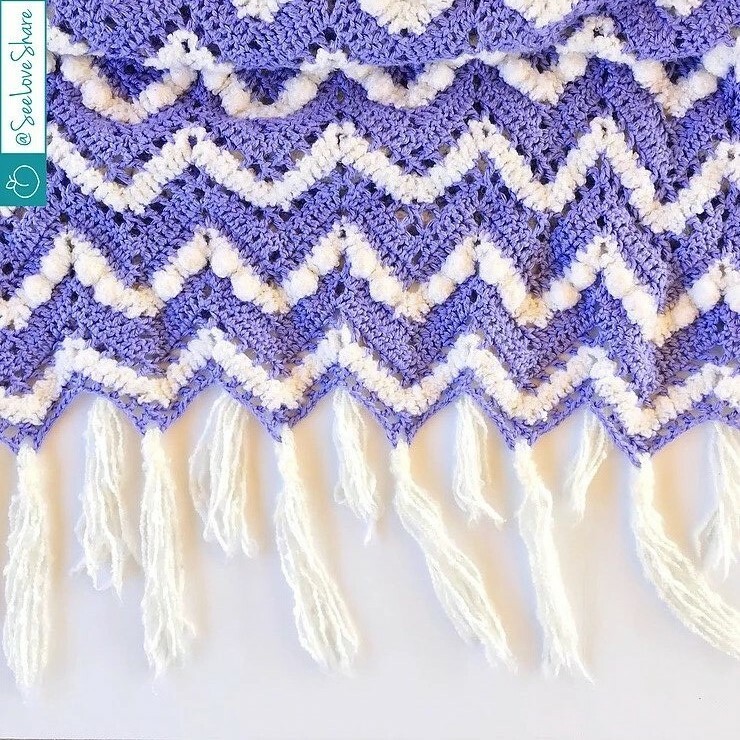 This is the perfect crocheted summer throw if you’re looking for something light, breezy and fun! The yarn used is a machine washable so feel free to take it outside by the campfire or to the beach! It’ll be a showstopper! 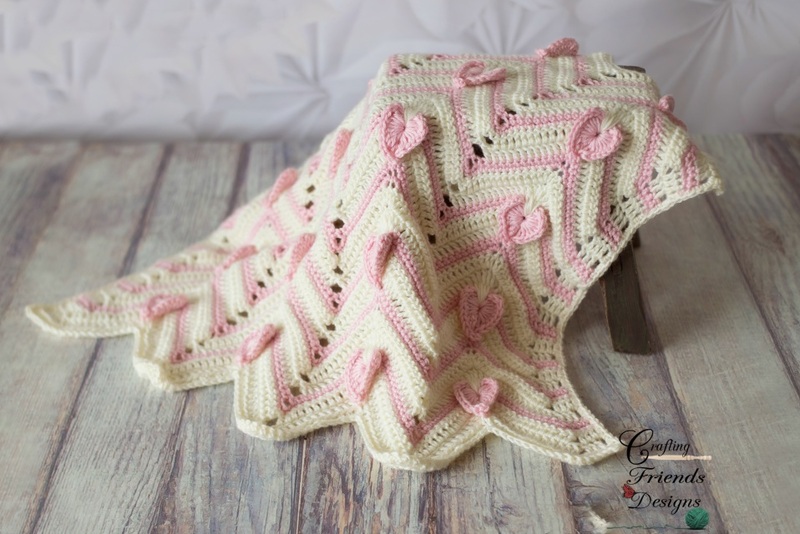 Free crochet blanket patterns like this don’t come along very often so take advantage of it! A wave stitch crochet blanket pattern brings out the pretty colors and textures of Bernat Home Bundle yarn. If you want to know how to crochet a blanket for beginners, this is a good place to start. Unique, fun and full of love describe the Heartbeat Chevron afghan blanket best. This is such a great pattern to work up in sizes infant to adult. The hearts on this are worked right into the design so you don’t have to worry about stitching on appliques after the blanket section is complete. 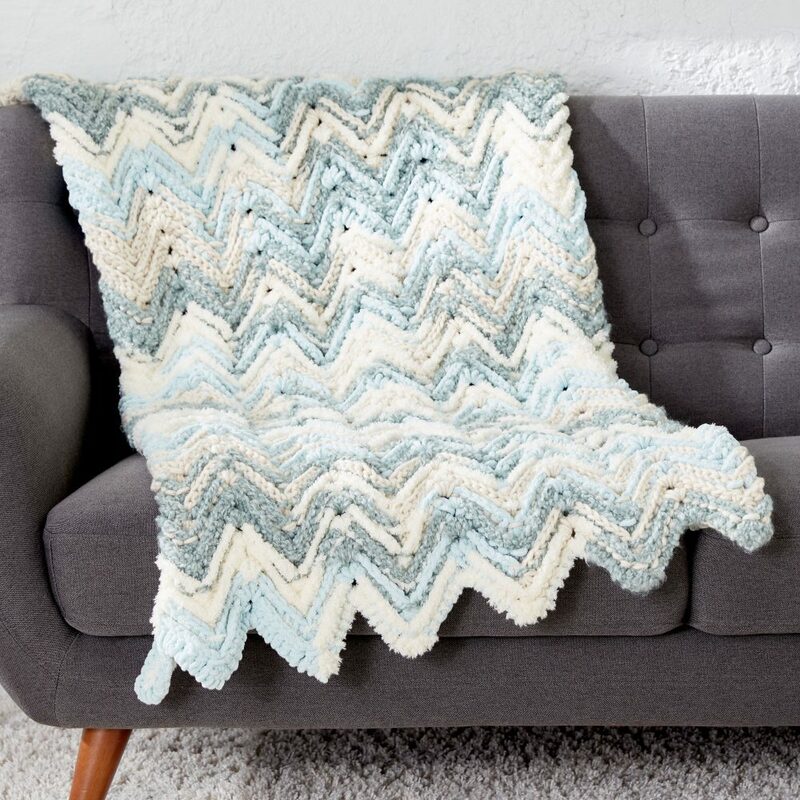 This chunky crochet blanket is one you’ll love for years to come. These crochet blankets are so pretty and an adventure to make. Test out your stitch knowledge with these exciting afghan patterns. 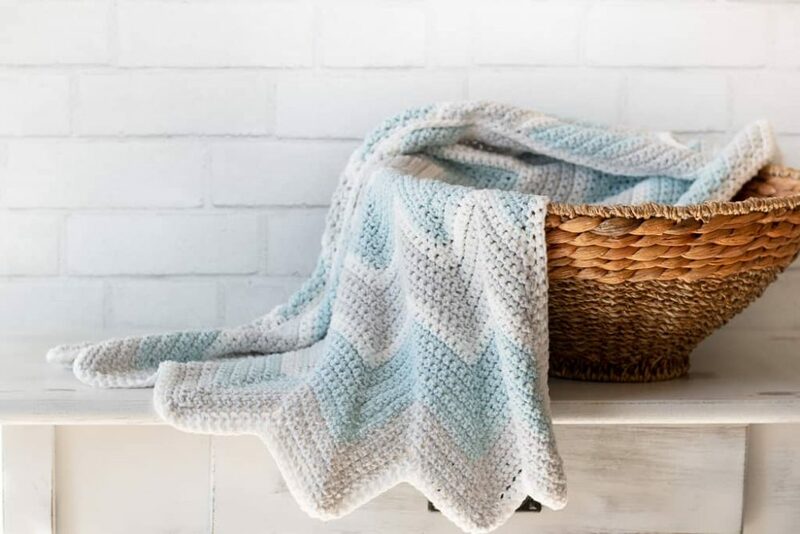 From bright and colorful to neutral and modern, these free crochet blanket patterns are perfect for a range of people. Pick the hardest one on the list for a challenge. Or choose something a little smaller if you’re just getting started. Chevron can be done by people of all skill levels. Try for yourself.